I've been doing this a long, long time. I first began coaching goalkeepers in the late 1980s, while still playing. 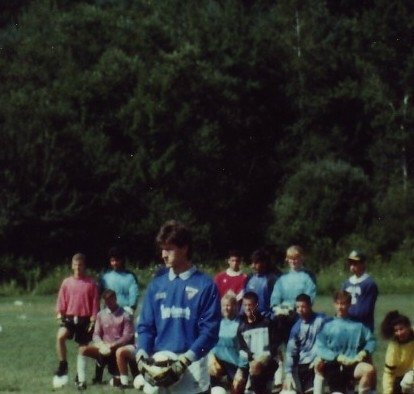 Here I am running a session at Soccer Plus Goalkeeper School, in the summer of 1991. There is a category of training referred to in some quarters as "Pressure Training." The goalkeeper does a demanding, repetitive act - collapse dives, post-to-post diving, forward rolls followed by a jump, etc - to exhaustion, all while attempting to make saves. Because fatigue can mimic some of the physiological manifestations of pressure, these were seen as a good way to prepare a goalkeeper for the mental stress of match play. And, indeed, they may be marginally helpful in that regard. They can also provide a fitness benefit. But I no longer incorporate such activities. The first reason for this is that they put goalkeepers into a physiological state they are never in during a match. A drill that requires a goalkeeper to run and dive explosively for more than 7 or 10 seconds - and many of these drills went on for 60 or even 90 seconds - completely depletes the primary glycogen fuel in the leg muscles, leading to weak, wobbly legs that are almost useless. 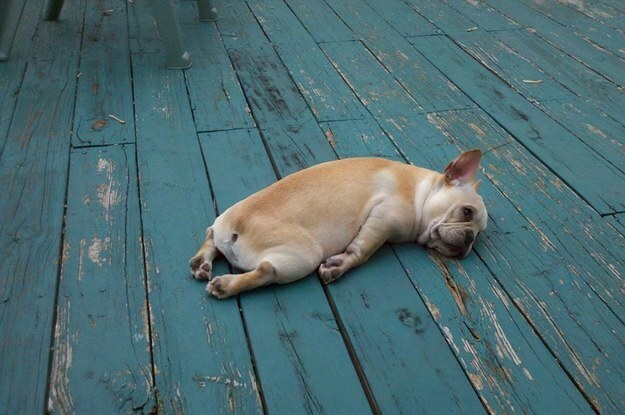 But in this state, the goalkeeper is still being asked to make saves. So they are forced into what I will generously call "compromised technique" in order to make a save in training. Perhaps you've been there; your legs are jello, you stumble across your line, and you desperately throw out a hand as the ball bounces languidly into the net. Now, if you're a top-flight professional with perfect technique, this occasional foray into 'anything goes' form isn't going to do you any harm. But for young goalkeepers, this only reinforces bad habits and poor technique. Should goalkeepers work hard in training? Absolutely! But, in my view, only in very short bursts, and with a decent amount of recovery time in between; just as it is in matches. What about the argument I hear from some coaches that training a keeper to exhaustion forces them to sacrifice for their team, to 'buy in' to the pain and sweat and effort required? There is some merit to this, but I prefer to make this a separate activity from goalkeeper training - for instance, incorporate it into general fitness training. I don't want to compromise a keeper's technique in order to prove a point about hard work and suffering. There is also, finally, a very real repetitive-stress injury risk to having goalkeepers repeatedly slamming into the ground while exhausted. I recall running sessions where I had goalkeepers facing a shooter from an angle. On my call "Go!" the goalkeeper shuffled over, touched the near post, and then dealt with a shot to the far post. 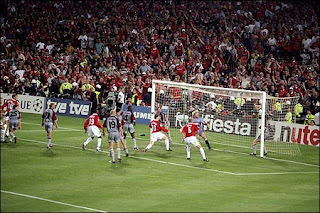 This automatically gave the goalkeeper an advantage they never, ever had in a game: they knew where the shot was going. So much of goalkeeping is reading and reacting to a dynamic, free-flowing environment. Goalkeepers who can move their feet quickly, get set in a good athletic position, and then react to a shot, give themselves the best possible chance to make saves. There is only one way to improve this skill set: train it. And by telling a goalkeeper where the shot is going, you rob the 'read and react' aspect of the activity. Predetermined shots also encourage leaning, guessing, and cheating, which further saps the benefits of training to read and react. Anticipation is a part of high-level goalkeeping, and can be trained with advanced goalkeepers, but even this is still a calculated risk in a match; the goalkeeper never knows for certain where the shot is going. There are some activities which logistically restrict you to shooting in one direction. For instance, if you force a goalkeeper to duck under a bar or jump over a hurdle in one direction laterally, then you have to shoot in that same direction, unless you expect them to dive back into the hurdle or bar. This kind of fast footwork/plyometric can be extremely useful for goalkeepers, so I try to design activities where there is still uncertainty about where the ball is going, or I simply do not put a shot on the end of the plyometric move. I might instead have them receiving and controlling back passes, which are generally more predictable than shots anyway. Volleys - from the hand of a server directly to chest height of the goalkeeper - have been a part of goalkeeper training forever. But they aren't very realistic. Balls struck from the deck have backspin or side spin; volleys do not. The ball is starting in the shooter's hands. Going back to the previous point, the ball is going more or less directly at the chest, and the goalkeeper knows it. Most importantly, volleys of this sort represent a tiny fraction of the shots a goalkeeper is likely to see in a match, yet they account for a disproportionately high percentage of the shots they see in training. I recognize some goalkeepers and coaches like volleys, and see them almost as a 'comfort zone' kind of warmup. I have no problem with that. I felt the same for years. I just prefer shots struck from the deck these days. I don't like service from the hands, except for a very few, specific things, such as replicating a downward header, or when introducing goalkeeping to very young players. Finally, I don't like to hit a lot of dead balls in a training session. Keepers see these almost exclusively from free kicks, where they are also dealing with lots of bodies in front of them. So I save them for free kick activities with a mannequin wall. Otherwise, I try to always have shooters take a touch before striking a shot, to force the goalkeeper to make match-realistic movements before getting set. Four goalkeepers, one coach. For years, in this scenario, I would have one goalkeeper working in goal, and the other three waiting to take their place in goal, while I shot or served crosses. 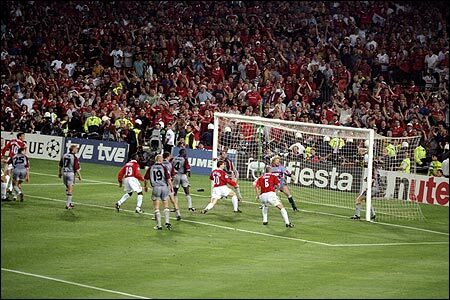 And then one day, while watching a 'best goals' compilation, I noticed something: there are usually many players, from five to fifteen or more, in and around the box when a goal is scored. Some of these players are trying to defend. Some are attacking. All of them can obstruct the goalkeeper's vision, or deflect a shot past him. If these are the situations we are training goalkeepers for, then shouldn't we try to replicate the conditions as accurately as possible? That means using the 'extra' goalkeepers as outfield players, shooting/defending/obstructing/challenging/simply distracting the 'working' goalkeeper as much as possible. If you have real outfield players available, all the better. Mannequins make a decent stand-in if not. If you have none of the above, and are working one-on-one with a goalkeeper, then your options are obviously limited in this regard. But if you can get more bodies around the goal, I think it's a good idea. As a bonus, having the goalkeepers serve as outfield players is obviously good training of their foot skills, and helps them understand the roles of defenders and attackers a little better. When hurdles became popular, I fell into line, and had goalkeepers jumping over them prior to making saves. I'm not entirely sure why. Do we want goalkeepers jumping prior to making saves? Not usually, no. Especially not when moving laterally. Yet I used to set a few hurdles up along the goal line, have keepers high-step or jump over them, and then make a save (a save which, by necessity, could only be in the direction they were jumping the hurdles). I'm not sure what I was thinking, because I've always tried to stress the importance of keeping the feet low to the ground when moving laterally (I like the image of the boot studs brushing the top of the grass). Yet here I was, running a drill that reinforced the exact opposite. No more. There are more - lots and lots more - but you get the idea. I have no doubt that a coach could make a passionate case for why any or all of these are still good activities; they just aren't good for me or my objectives any longer. On board with all of these, I've had similar thought processes and experiences to what you describe. Well written, thanks for putting it together!